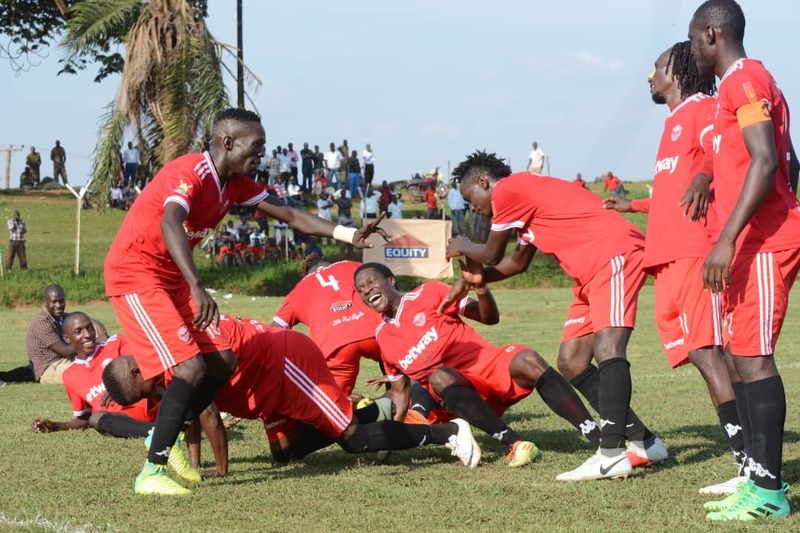 WANKULUKUKU – Express and SC Villa shared spoils in a 1-1 draw in the StarTimes Uganda Premier League games placed at Wankulukuku on Thursday. After a goalless first half, the game came to life in the second period as Disan Galiwango handed a lead to the home side but Shafik Bakakiki was on hand to equalize for Villa to ensure it ends in a stalemate. In the early stages of the game, Villa applied intense pressure which saw Joseph Ssemuju force a save from Express custodian Tony Kyamera inside the first 5 minutes. Express’s first telling chance came on 13 minutes but Brian Umony dragged his effort from outside the 18 yard box, wide. Three minutes to the hour mark, Ambrose Kirya robbed John Levita of possession in the Express half but the former Red Eagle could only shoot wide while in an excellent position. At the other end, Badru Nsubuga found himself in acres of space outside the visitors’ penalty area but blasted his rushed-shot over the bar. The game looked to be opening up and moments later, Kirya ran through on the Express goal but also blasted over while under pressure from Pius Mbidde. The best chance of the half fell to Villa’s Charles Lwanga who pounced on a Levita lazy header but with Kyamera stranded, the striker could only put his effort wide and over the unguarded goal. At the end of the first half, both sides looked to be contented with the 0-0 score line as referee Brian Nsubuga sent them back to the dressing room. Two minutes into the second half, Eric Kambale found himself running through on the Villa goal but dragged his effort wide while one on one with the visitors’ goalie. At the other end, Galiwango robed Kivumbi of possession but flashed his cross from a tight angle, across goal. The first yellow card of the game was shown to Badru Nsubuga on 53 minutes for a foul on Douglas Owori. Two minutes later, Michael Birungi was played in through on goal by Eric Kambale, dinked the ball over Kivumbi but Bakaki recovered to make a goaline clearance. The game looked to be deprived of chances until John Adriko shot over a Magwali cross on the hour mark. The second yellow card of the game was flashed to Moses Kiggundu for foul play on Badru Nsubuga. Villa who were only two points away from the relegation zone at the start of the day, made the first changes of the afternoon with Pius Wangi and Ashraf Mandela replacing Ssemuju and Adriko in a double switch. In response, Express introduced Mubaraka Nsubuga in place of the in-effective Umony. With 18 minutes to play, Frank ‘Zaga’ Tumwesigye was brought on to replace Kambale as Express looked for more creativity from the middle of the park. Four minutes after coming on, Zaga made telling impact, starting the move that lead to the opening goal on 77 minutes. The on-loan Vipers playmaker started a quick free-kick which released Galiwango and the winger beat Bakaki for pace before unleashing a fierce drive into the bottom right hand corner. However, Express’s advantage lasted only five minutes before it was wiped up. Owori was brought down on the left wing and from the resultant free-kick, Habib Kavuma picked out Bakaki who headed in the equalizer. Villa got that game’s final chance but Wangi shot straight at Kyamera from just outside the area. The result mean Express drop into 11th on the standings with 33 points while Villa remain 13 with w7 points from 26 games.